The number 666 is often associated with the Devil and evil in general – but on the 6th hour of the 6th day of the 6th month in 1944 the forces of good pushed back against the darkness and reclaimed the light. 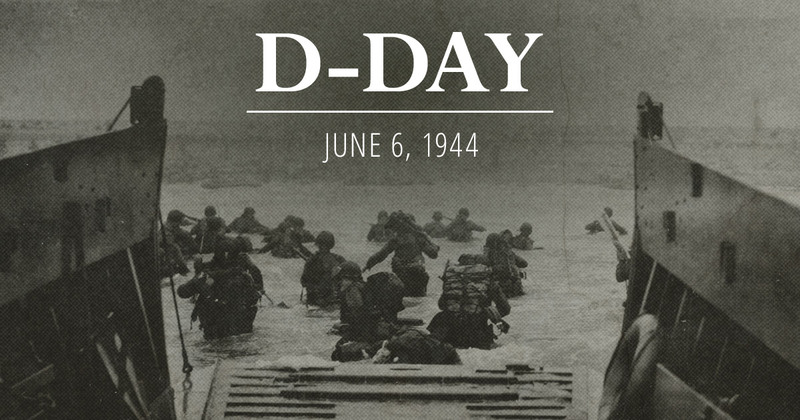 On D-Day the Allied nations mounted a massive attack, part of operation Overlord, against the Nazi Socialist armies that had taken control of Europe. 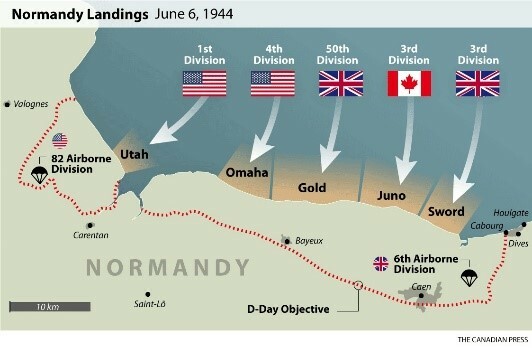 The combined English, Canadian and American forces stormed the beaches of Normandy in what was the largest seaborne invasion in history and began the liberation of German-occupied northwestern Europe from Nazi control. The invasion laid the foundations for the Allied victory on the Western Front and started the action that led to the total defeat of Hitler’s empire. 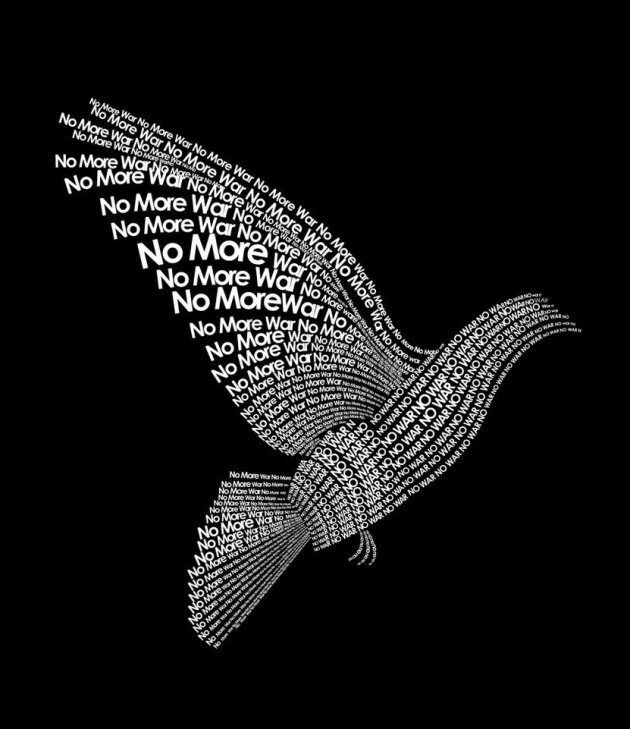 World War II is often seen as an epic/mythic confrontation between good and evil played out in the real world. The actions of Hitler’s partners could certainly be seen as Evil with a capital “E” and the results of a Nazi victory would have been disastrous for the world – a disaster from which the people of Earth might never have recovered. But the forces opposed to Hitler were not necessarily all that good – at least the leadership of the Allied forces were far from saintly. They were brilliant, competent and determined combatants and the people they served were convinced of the rightness of their cause – but they weren’t saints. This goes to show that in a war against evil, angels can accept and use help by less than perfect partners. 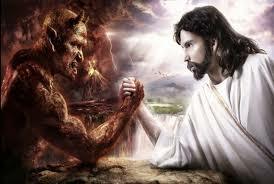 If the Devil was orchestrating the war, his own weapons and powers were turned against him. On D-day, and throughout Operation Overlord, the Allies used deception, cunning, propaganda, brute force, the wanton sacrifice of lives (425,000 troops were killed, wounded or went missing during the battle of Normandy) and, of course, the possibly accidental use of the number 666. On D-Day, the unstoppable armies of the Nazi regime were finally stopped. The Allies freed France, Western Europe and eventually the rest of the world held hostage by the Devil in the guise of Hitler’s National Socialist German Workers Party. After the war, the Allies consolidated the United Nations organization tasked specifically with preventing such a war from ever happening again. Let us hope they are successful. ‹ Is Mysticism a Religion?